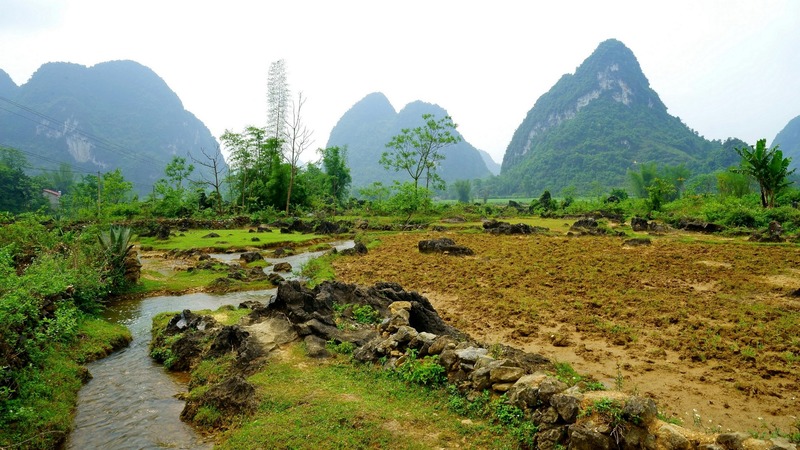 In this tour, you will be travelling through the remote areas in the north of Vietnam, brushing along the Chinese border and staying with local families to understand their unique cultures and customs. 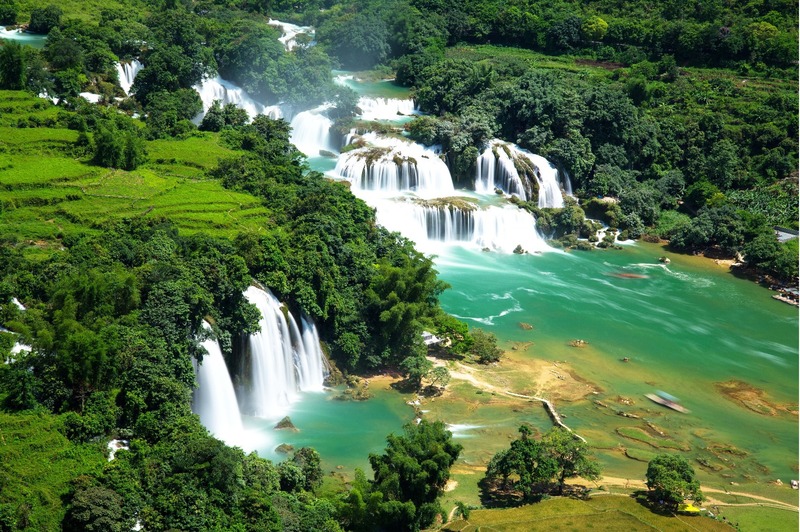 The tour starts from Hanoi with English speaking guide and continues into the wild and rugged landscapes of Cao Bang to visit the most spectacular Ban Gioc waterfall in Vietnam. Ban Gioc is a collective name for two waterfalls on the Quây Sơn River that straddle the international border between China and Vietnam. Over thousands of years the waterfall has eroded its crest and slowly moved upstream. It appears to be two waterfalls most of the time but when the river is swollen due to summer rains, it can form into one waterfall again. Then you will be taken to the vast lakes and chalky karsts of Ba Be National Park, which is located in Bac Kan Province about 240km from Hanoi. The Park covers more than 23,000 hectares and is a home to natural beauties like waterfalls, rivers, deep valleys, lakes and caves set amid towering peaks. It is also a home to many ethnic minority communities. 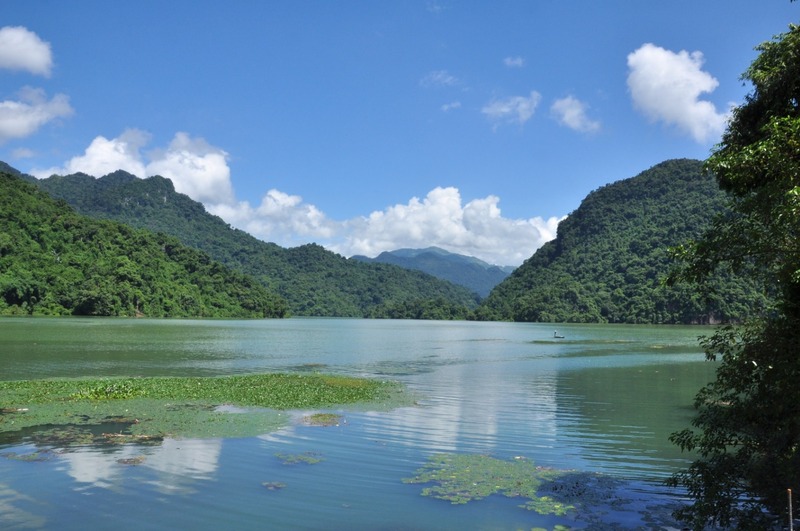 Ba Be is also the name of the largest natural freshwater lake in Vietnam with exceptional biodiversity including a population of langurs, over 200 birds and 350 butterfly species, geological treasures, and mature primary limestone forests. Ba Be Lake is in fact three lakes linked by wide channels of about 8km long and 400m wide. The surface is always calm, making a boat trip a peaceful experience. Day 1: Hanoi – Lang Son - Quang Uyen (L/D) 7.30 - 8:00 pick up from your hotel in Hanoi and start a 3-hour ride to Lang Son province. You will visit Chi Lang - a 20-km-long structure, which is associated with a great victory of Vietnam against the Chinese dynasty in the past and considered as the strongest citadel at the time. You have one hour to explore “Quy Mon Quan” gate (Gate of Monsters), whose name reflects the fierce past in which many of the invaders coming to Vietnam were killed by the Vietnamese defenders. After lunch at a local restaurant in Dong Dang town, continue your trip as you visit Mother’s Temple and Dong Khe – the history site where The Battle of Dong Khe was fought during the First Indochina War. The fight took place in Dong Khe, in the Province of Tonkin, during September and October 1950, ending with the victory of Viet Minh’s side (Communist Party). 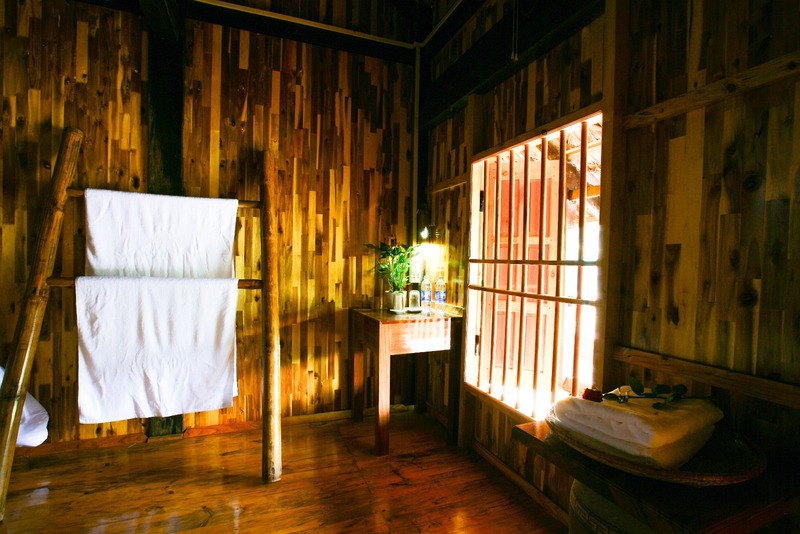 At night, you will have dinner and stay overnight in the homestay of a Nung family in Quang Uyen. * This day has a 3-5km walk. Day 2: Ban Gioc Waterfall - Ba Be Lake (B/L/D) After breakfast at the homestay, you will depart for Trung Khanh which lies on the border with China. Here, you will have the chance to meet the Nung people in the village of Phuoc Sen, a mountainous village famous for its traditional blacksmith craft. The farming tools made here are an integral part of the lifestyle which is evident in the surrounding rice paddies and fields. Nestled in amongst these amazing landscapes is the breathtaking Ban Gioc Waterfall which spans over 300 meters, half in Vietnam and half in China. 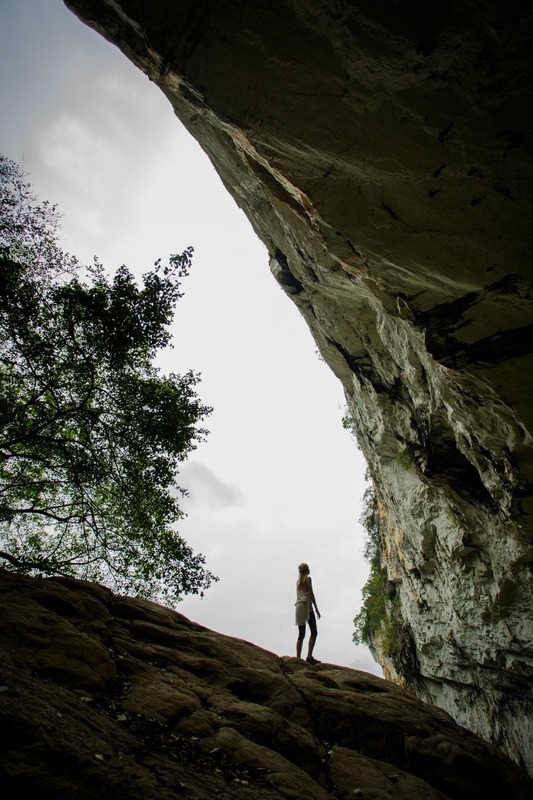 You will have time to soak up the powerful atmosphere of the falls and take some fantastic photos before heading to another natural wonder, Nguom Ngao Cave. This cave stretches out 2,144 meters underground and is brimming with incredible stalactites and stalagmites. 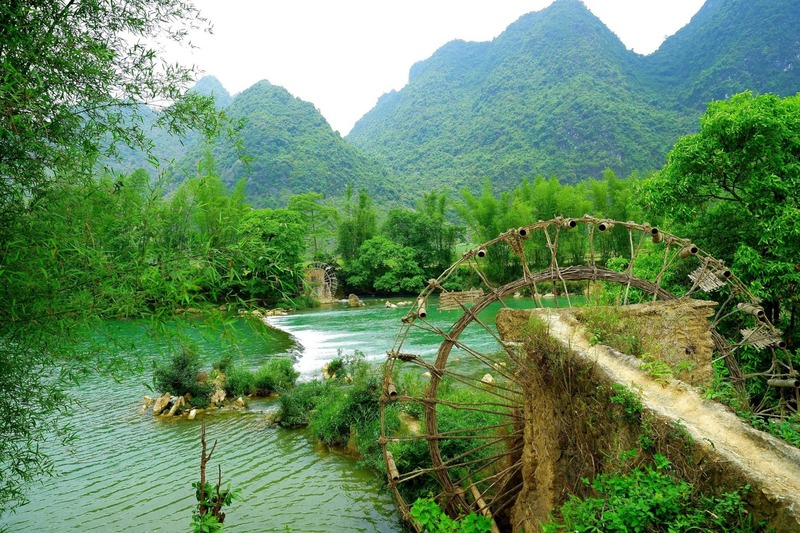 You will then make your way to return to Cao Bang town and going down on snake pass to Ba Be Lake, tonight you will stay overnight on traditional house of Tay ethnic family. 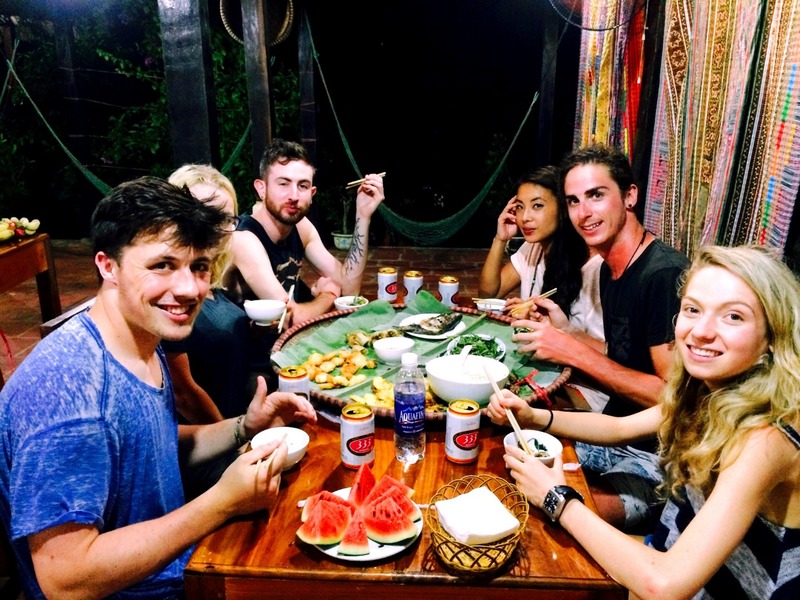 At the homestay, you can relax and unwind from the day and enjoy a meal of home cooked local food. After breakfast at a local restaurant, we will take a boat trip to explore the vast Ba Be lake. You can relax on board, do some wildlife spotting or, if you need to cool off, you can jump into the cool, clean waters for a refreshing swim! 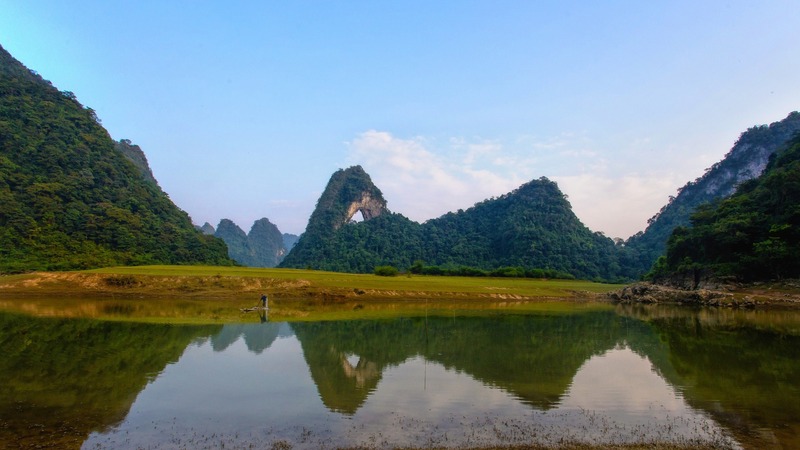 As you float on Ba Be Lake, you can take in the scenery of the surrounding karsts decorated with patches of wild vegetation and inhabited by all sorts of interesting creatures. 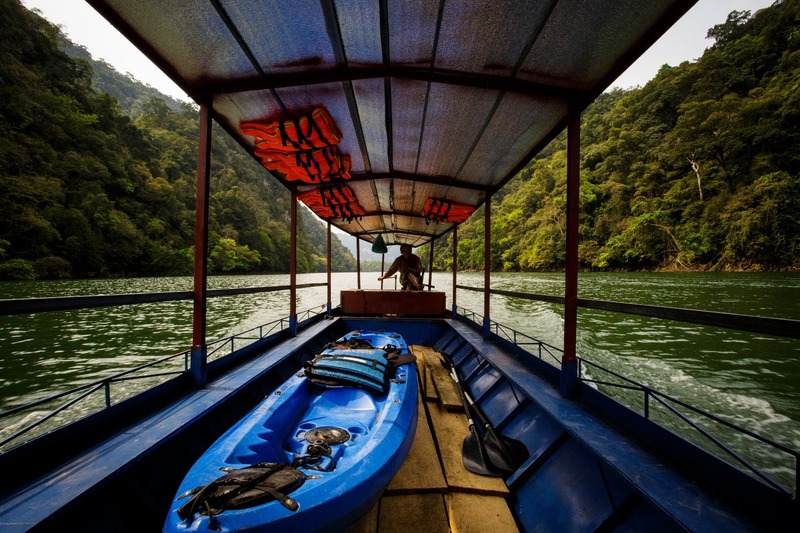 The boat ride along the Nang River will give you time to explore the stunning Ba Be Lake and the caves of Puong Grotto. 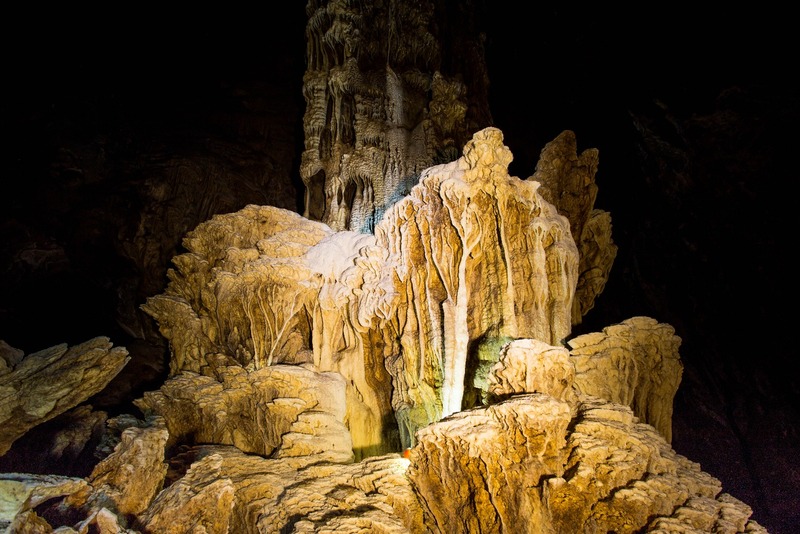 Puong Grotto is where you can explore the stalactites and stalagmites that are the result of river eroding the karst as well as looking out for the bat colony of several thousand ones. You will then depart for the journey back to Hanoi, a drive of approximately 150 miles (230 kilometers). We will stop at some hills with tea plants before returning to your hotel in the bustling city of Hanoi.